Your home is your safe place and your comfort zone. 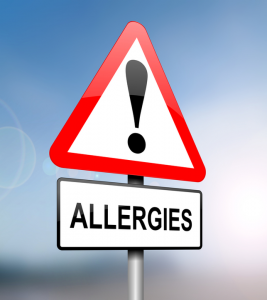 It is important to allergy proof your home so that you breathe easily and rest well. Fewer allergy problems may also mean better all around health. Mold spores and dust mites grow quickly in a warm, damp environment. High levels of warmth and humidity are like a welcome mat for allergen bearing pests like roaches. Your air conditioning system helps dry the air while cooling it, and in the You may need to add a dehumidifier if you live in a very damp area. Empty your dehumidifier daily and clean the tank to help prevent the growth of mold. Ideally the humidity in your home should be maintained at less than 50%. A temperature of 68 degrees or less discourages the growth of dust mites and mold. When you notice an increasing amount of allergy symptoms, close the windows and run the heating or air conditioning system as the weather dictates. Follow manufacturers’ instructions for your air conditioners, air purifiers and furnaces. Change the filters on a regular schedule and mark the next change on your calender. Buy good quality filters designed to trap allergens, or use a washable filter. A filter that is full of dust and allergens cannot continue to clean your air. Generally it is wise to clean or replace the filters monthly during the seasons you run your heater or air conditioner. In the kitchen, run the ventilating fan to remove cooking odors and other vapors that can make you sick. Your ventilator will also remove excess moisture from cooking and cleaning up. In addition your home should have a vent fan in each bathroom. Running the ventilator in the bathroom removes the excess moisture that is generated by bathing. If your bathrooms do not have fans open a window to allow the mold causing moisture to escape. Your laundry may also need a ventilation system. Use a hygrometer to determine the moisture levels in your home. This spring, and every season, your heating and air conditioning system is essential to removing allergens from your home. Check with your HVAC specialist to be certain you have the right filters and that all parts of your system are running effectively. Your health and your comfort are at stake. Constantly sneezing in your Annapolis home? Call Heidler Plumbing at (410) 268-7191 today, and breathe in the fresh air.